George Waring was one of the men named on the Bottesford ‘church list’ of WW1 Servicemen. George Waring, son of William and Annie Waring, was born in 1898 and baptised on the 3rd of July that year at Sedgebrook, Lincolnshire. His father, William Waring was born at Kegworth in 1861, and buried on the 29th December 1928 at Muston, aged 67. Annie, his wife, was born at Cossington, Leics, in 1869. The record of their marriage has proved difficult to identify. However, in the 1901 census, George and Annie lived in a cottage on Sedgebrook Lane, Sedgebrook, with their children John (11), Edith (12), Eliza (8) and George (2). In 1911, George aged 12 and at school, was the only child still at home at ‘The Buildings’, Sedgebrook. William Waring was a farm worker, describing himself as a waggoner in 1901, and a horseman in 1911. George was admitted to Sedgebrook National School on 3rd March 1902, and left on the 22nd May, 1911. George Waring’s Medal Index Cards records that he served as Private TR5/4904, then 26750, Northumberland Fusiliers, and was awarded the Victor Medal and British War Medal. Two short reports published by the Grantham Journal give information about his wartime experiences. 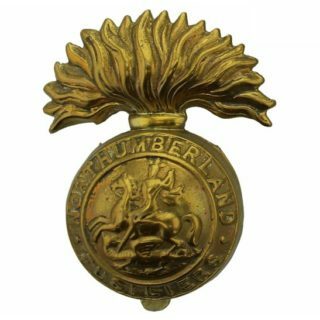 The first, published on the 3rd June, 1918, said: MISSING – An official eport has been received by Mr W,Waring, of Normanton, Bottesford, late of Sedgebrook, thet his son, Pte George Waring, Northumberland Fusiliers, attached to the Royal Engineers, has bee reported missing, 21st to 23rd March. Any information from his comrades concerning him would be thankfully received by is parents. Pte Waring joined the army in January last year, and went to France in May. He was home on fourteen days leave in February this year. On the 17th August 1918, the second report read: PRISONER OF WAR – Pte. George Waring, Northumberland Fusiliers, and son of Mr and Mrs Waring, Normanton, Bottesford, was repoted missing in the great spring offensive and his parents were for some time very anxious about him. Much to their relief, they have received a letter from him saying that he is a prisoner of war in German hands. 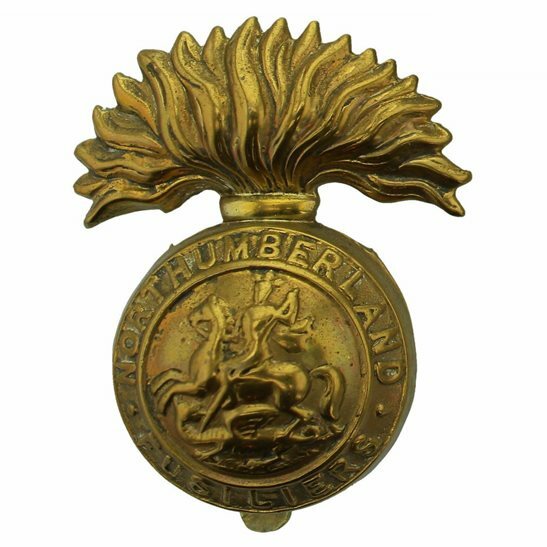 From this information, it can be concluded that he had joined the army January 1917, having turned 18, and been placed in the Northumberland Fusiliers. After only a relatively short period of training, during which he presumably had his first service number, he was sent to France in May 1917 as Private 26750 to join his unit (we do not know which unit this was). He was home in February 1918 on leave, then returned to France in time to be on the Western Front during March 1918, when the great German offensive took place. He was perhaps fortunate to have survived and become a prisoner of war, and able to return after the Armistice of November 1918. It seems probable that George joined his parents in Normanton when he arrived back, following his discharge from the army. Aged 25, married Alice Sarah Regina Brown, aged 31, on the 24th May, 1922, at Muston. She was the daughter of John Miller of Muston. Electoral Rolls reveal that George and Alice then lived in Bottesford Road, Allington, from 1923 to 1926. The 1939 register indicates that George and Alice lived at Flawborough, Nottinghamshire, at that time. George Waring, b.12th May 1898, was a farm horseman, and his wife was Alice S R Waring, born 28th September 1895. A man named George Waring died in 1984 in Nottingham. This was probably the man from Flawborough, in which case he was aged 85 when he passed away.